People should always form their own opinions about movies. But still, it doesn’t hurt to know that critics are responding well to a particular film. This must be especially true for the team that brought it to life. Now that Shazam! has amassed enough positive reviews on Rotten Tomatoes to earn the site’s “Certified Fresh” distinction, several fans are beginning to trust that Warner Bros. placed the DC superhero in capable hands. Even the movie’s director, David F. Sandberg, has taken to social media to share his thoughts on this latest achievement. You can check out his reaction via Twitter below. Currently, Shazam! is sitting at 93% on Rotten Tomatoes. Critics are singling out its comedic tone and lauding the film as a welcome contrast to the DCEU’s darker entries. Zachary Levi’s performance as the title character and his scenes with Jack Dylan Grazer’s Freddy Freeman have also been frequent sources of praise. This positive word of mouth can only bolster Shazam!’s success at the box office when it arrives in theaters next week. So far, the movie has been estimated to make $40-45 million during its opening weekend, a rather subpar number for a superhero flick. However, it’s possible that the film’s glowing critical reception will cause it to exceed initial expectations. 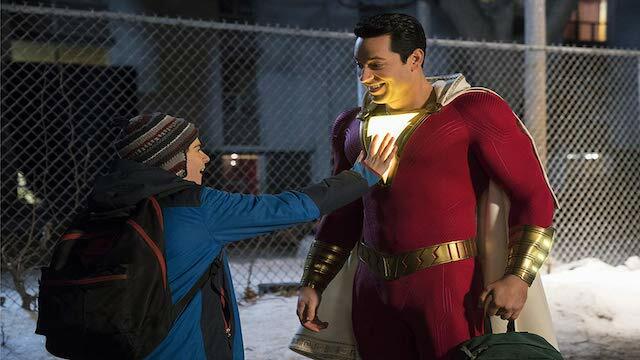 Shazam!’s critical and (potential) financial success will almost certainly guarantee a sequel. Sandberg himself has indicated a willingness to helm another installment featuring Black Adam, played by Dwayne Johnson. Moreover, the film’s lightheartedness could set a new course for DC movies going forward. Are you more excited to see Shazam! now that it’s been Certified Fresh on Rotten Tomatoes? What do you think of Sandberg’s response? Let us know in the comment section below! Tags: David F. Sandberg, dc, DC Extended Universe, Shazam!, warner bros.